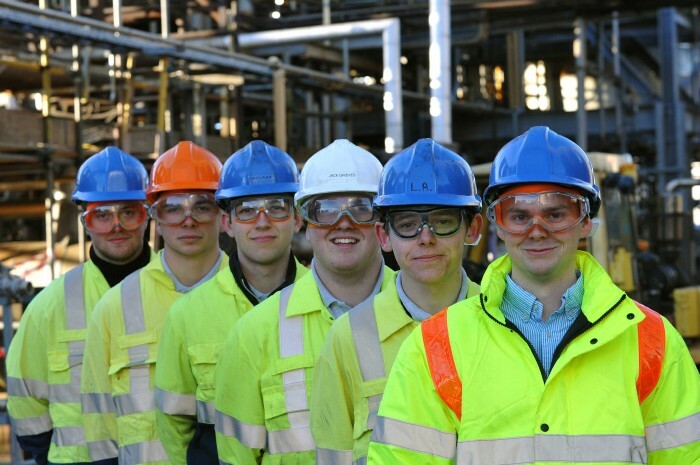 Chemoxy International, which has sites in Middlesbrough and Billingham, near Stockton, is taking part in Trailblazers. The company said it has invited applications for a laboratory technician, who will complete an advanced level apprenticeship. Bosses added the successful candidate will join eight young workers already at the firm. The Trailblazers scheme was created after employers and trade bodies across eight sectors worked together to deliver changes to apprenticeships, with the intention of making them better for companies’ needs. Ian Stark, Chemoxy chief executive, said: “This new position is the first we’ve advertised under Trailblazers and we’re proud to be at the forefront. “Trailblazers is about making sure young people embarking on their careers develop the correct skills to meet the changing needs of industry. “We’ve got a long history of supporting apprentices; about 20 per cent of our staff began as apprentices and right now we have eight – a laboratory technician, two mechanical technicians and five process operators. The company’s latest apprentice, 18-year-old Jack Grieves, was recruited under the former apprenticeship scheme. He joined after training provider TTE, based near Middlesbrough, put him at Chemoxy for work experience. Andrew Purvis, Chemoxy’s training and development manager, added: “When Jack came to us he was without a sponsor, but we were so impressed with his attitude, his enthusiasm and his professionalism we offered to support the remainder of his apprenticeship. Chemoxy’s refinery in Cargo Fleet Road, Middlesbrough, occupies the spot where, in the late 1860s, industrialist Samuel Sadler founded a tar distillery starting the region’s chemical process industry. Employing more than 100 workers across its two sites, Chemoxy supplies processing for international chemical companies, environmentally-friendly solvents for use in paints and cleaning products, and chemicals for the pharmaceutical, electronic and fuel additive industries.